Lead Liaison‘s email marketing helps B2B marketers automate the process of reliably sending personalized messages to their prospect and customer base. Send email on behalf of sales and get notified of respondents in real time. Broker collaboration by allowing marketing to hand off interested leads to sales. Ensure email deliverability with sender authentication and built-in spam checking. 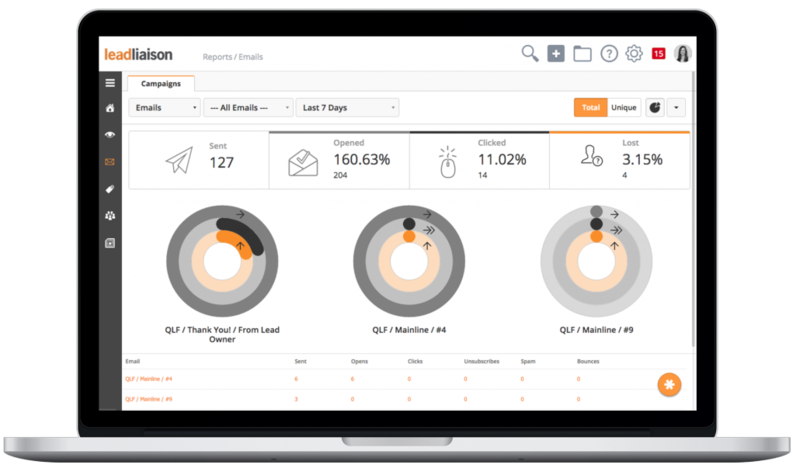 Lead Liaison provides detailed reports that enable marketers to assess email campaign performance and give sales managers real-time insight into prospect activity. 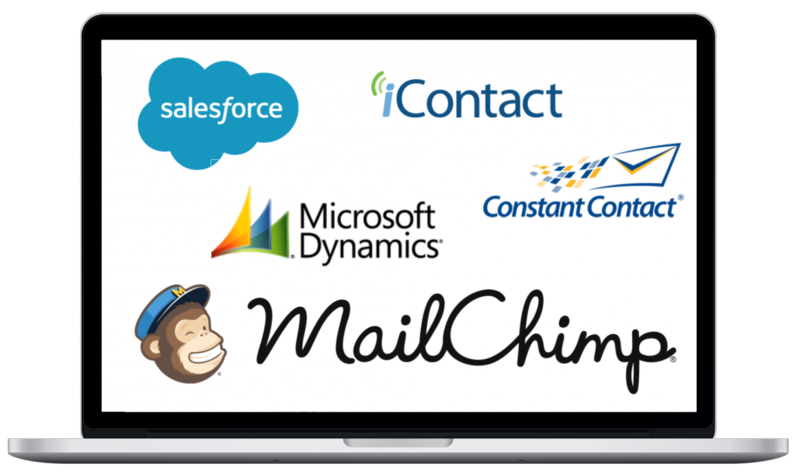 Integrates with any 3rd party email service provider (ESP) such as MailChimp, Constant Contact, iContact and more. Also integrates with email from popular CRMs such as Salesforce.com or Microsoft Dynamics. Get 10x the value out of your existing email system and don’t change a thing. Lead Liaison‘s e-mail marketing solution enables user’s to easily create personalized, custom e-mails from scratch or by using one of our templates. Once created, e-mails can be used for tracking, marketing campaigns, newsletters, trade show follow up, actions as a response to triggers and more. 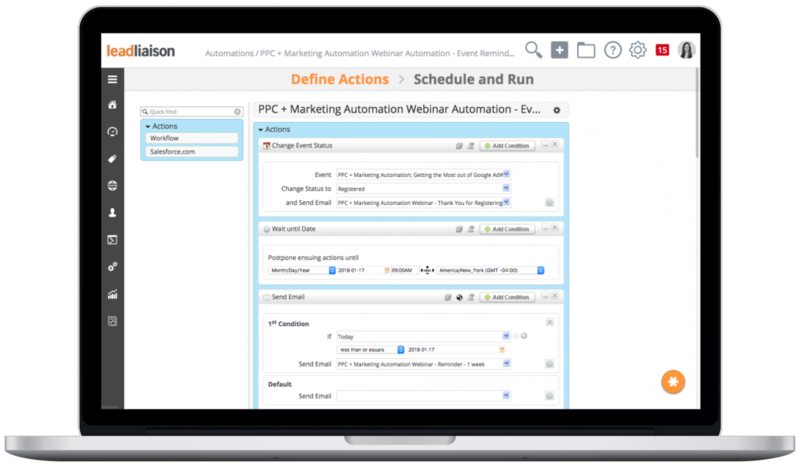 E-mail drip campaigns are the core of any marketing automation system designed for lead nurturing, and Lead Liaison makes it easy to set up drip campaigns with a drag and drop interface for setting flexible workflow rules. Choose from various layouts and styles. When using the email builder, each element (or “widget”) will have its own styling options as well. Layouts make it easy to create beautiful looking emails. 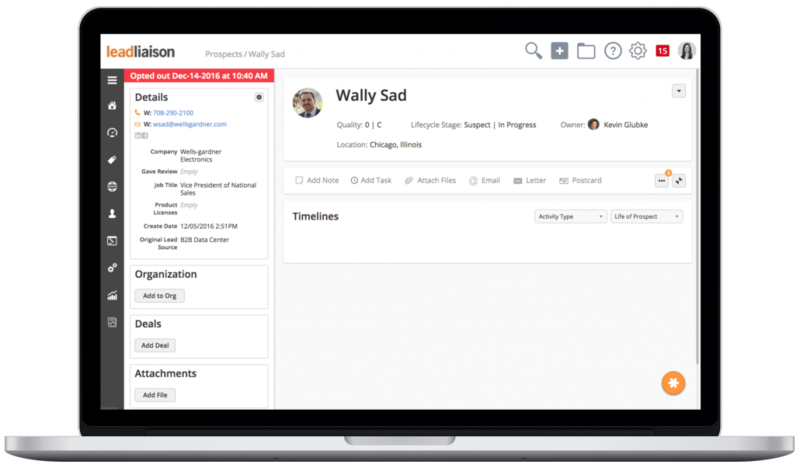 Bounce management and unsubscribes are handled in Lead Liaison and automatically synchronize with your CRM. We automate the process of keeping your mailing lists clean so you can focus on your core competencies. 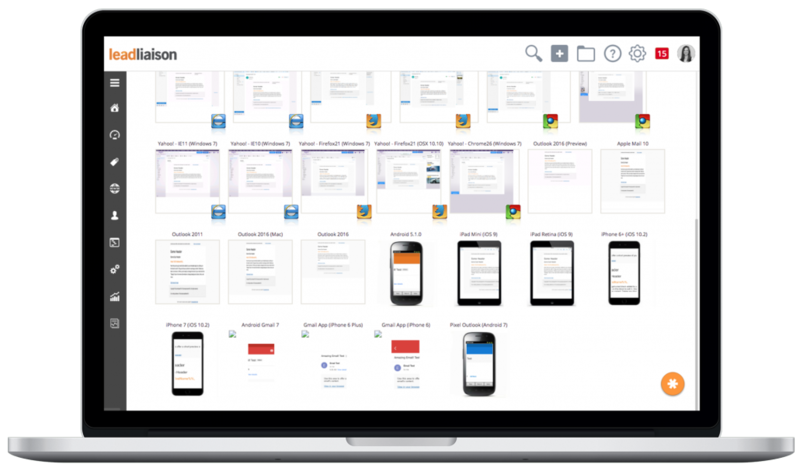 Preview your email campaign in 108 different combinations of operating systems, mobile clients, web clients and desktop clients to get an accurate representation of how your email will render. Preview on the most popular mobile clients such as Android and iOS devices. 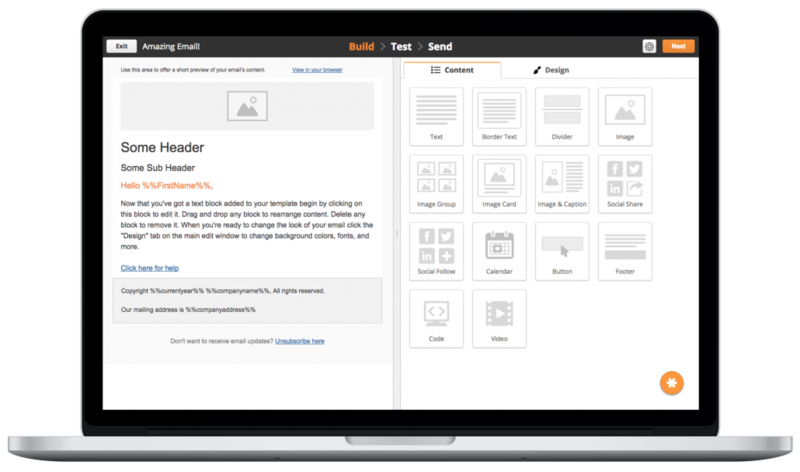 Email clients can be filled with surprises and render your email campaign in different ways. 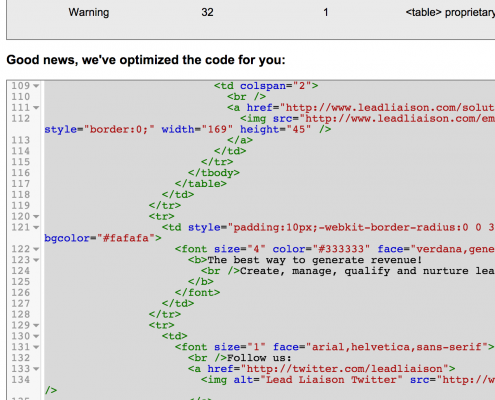 Coming up with email content is hard enough, you shouldn’t have to worry about optimizing your HTML code. We’ll automatically apply common fixes to your email campaign so you can focus on created value-added content. 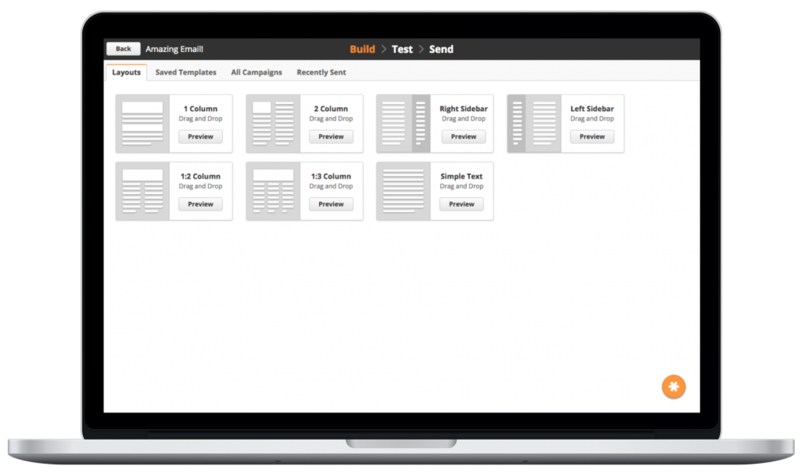 Validate your email campaign across a multitude of mobile, desktop and web clients. 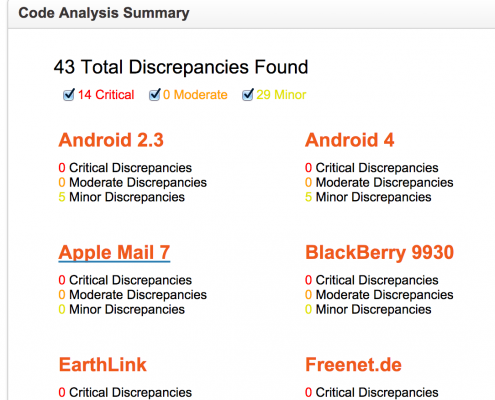 We’ll search for critical issues and flag them for you in the specific email client.